Daniel Diana was a Superstar! What an amazing weekend. 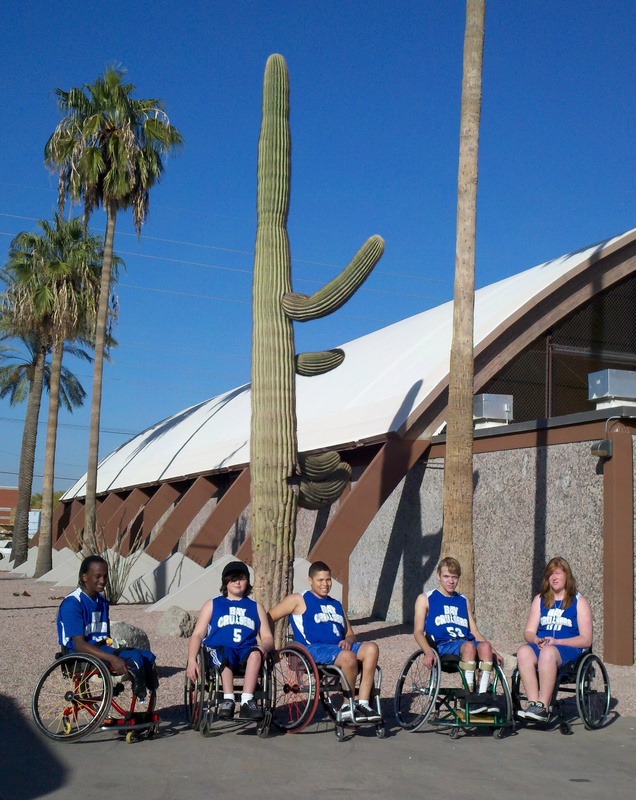 The Varsity team went 3-2 over the weekend losing both games to the highly ranked Utah Jr. Wheelin’ Jazz and defeating the Phoenix Jr. Wheelin’ Suns twice and the Denver Jr. Rolling Nuggets. The final game of the tournament was such an amazing game that any description that I give will not do it justice. 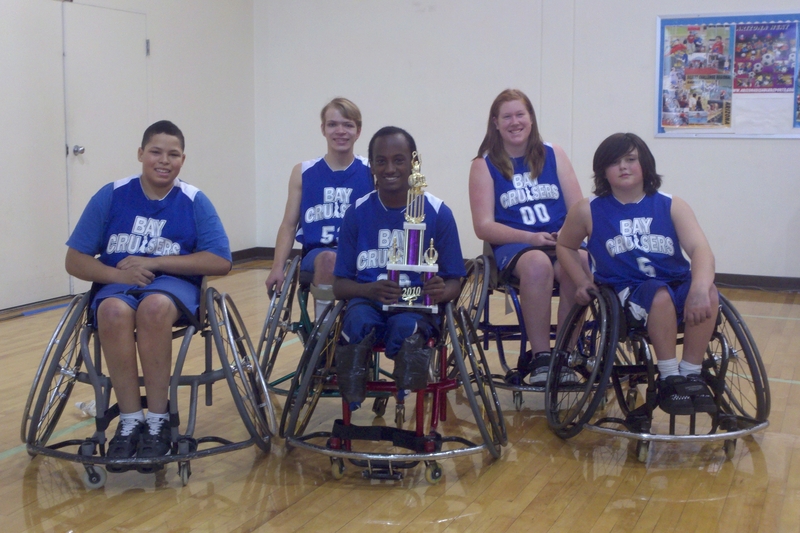 In a rematch of the opening game of the tournament, the Cruisers faced off against the Utah Jr. Wheelin’ Jazz to try and get revenge for a 46-39 loss the day before. The game went back and forth with neither team able to pull away and extend more than a 6 point lead. James and Koda were able to pressure Utah’s big guns and make them earn every single foot of ground they got. Mackenzie, Zach, and Chris matched up with the rest and limited their opportunities and shut down the transition game. Offensively, James controlled the tempo of the game and forced Utah to constantly adjust their defense in order to stop him. He was then able to see Chris, Mackenzie, and Koda cutting to the hoop and the big three made them pay. Of course, non of that would have happened if it had not been for the picks that Zach was setting. The team was down by 2 with only a few seconds left. James drove down, drew the defense to him, dropped the ball off to Mackenzie, the defense overplayed her so she passed to Chris and he made the shot to tie the game with 1 second on the clock. Then he followed that up by stealing the inbound pass and stopping any chance Utah had to advance the ball. OVERTIME BABY!! In overtime James started off by jumping the gap on the tip, stealing the ball, getting a pick from Chris and driving in to make a lay-up, giving us the lead. The teams continued to battle back-and-forth but Utah again found themselves ahead by 2 with only 5 seconds left. Again, Chris broke to the basket on a missed defensive assignment but this time Utah was able to recover before he could pass the ball and time expired. The Cruisers lost 58-60. The one thing that came out of this tournament had nothing to do with this wins and losses. For the first time this season, the team really started playing basketball. They were making reads on the court, helping each other on defense, working with each other on offense, and playing as a team. That was a beautiful thing to watch. Look out rest of the world because these kids are stinking young and they are just getting started! continues, NYLN (National Youth Leadership Network) recognizes that the realities of people with disabilities look vastly different in many ways. With this in mind, NYLN is requesting proposals for chapters in a book-length anthology to document this legacy and record the stories of young people with disabilities talking about what it is to grow up with a disability in this day and age. NYLN is seeking creative non-fiction essays from young people with disabilities ages 13-30 (some flexibility will be available for compelling submissions from individuals slightly outside our preferred age range). People with all types of disabilities are welcome to submit. Speaking from personal experience is strongly encouraged. The intent of this project is to use personal voices to capture the experience of the new generation of young people with disabilities. An exciting, full day of goalball ended in a riveting title game decided by a last minute goal. Raw Energy (Karla, Roger, Nick) fought back from a 5-3 first half deficit to win the championship 7-6 over the Shot Callers (Khemnes, Victor, Bill, Jairo). Third Place went to NoCal Earthquake (Ahmad, Jon Simeone, Matt) who used a 5-0 first half to take seeming control of what turned out to be a tense 6-4 victory over the Sacramento River Bats (Joe, Christella, Sergio, Jon Marcotte). The Dominators (Maryann, Seung, Philip) and Team Lighthouse (Richard, Shen, Arlena, Erin, Zohar) cranked up the offense for a Fifth Place game battle that saw the Dominators on the winning end of a 10-7 result. Ongoing generous support from our sponsors is a huge factor in being able to provide a high quality event in all its particulars year after year. Innovative Interfaces (16 years), Nakashima Fine Arts (16 years), Sue Johnson, Custom Lamps and Shades (15 years), TranSports (14 years), Vision Faire Optometry (12 years), Zander Associates, Environmental Consultants (10 years), CamelBak (5 years). From veterans to rookies all the volunteers worked hard to contribute to a smooth running event and competition. 15 year honors went to Scot Goodman, Bill Johnson and Andy Jokelson. 10 year honors to Leslie Zander. Special volunteer thanks to Heather Robinson for gracefully handling the crazy neighborhood lady, Scot Goodman, Stephanie Parker and Ashley Gibson for working the whole day, Janet Ziegle, Larry Joe, Loren Corotto and Don Misumi for their score table expertise and training assistance, Bill Johnson for training all the Goal Judges and Dawn Nakashima for the wonderful shirt design and staying up late making the sponsor banner. Outstanding sandwiches and dessert from Sharan Ikeda with able assistance from her son, Kazu. Raw Energy scored 34 goals and gave up 28 in 5 games. Shot Callers scored 27 goals and gave up 14 in 4 games. NoCal Earthquake scored 24 goals and gave up 10 in 5 games. Sacramento River Bats scored 23 goals and gave up 17 in 4 games. The Dominators scored 19 goals and gave up 33 in 4 games. Team Lighthouse scored 13 goals and gave up 38 in 4 games. 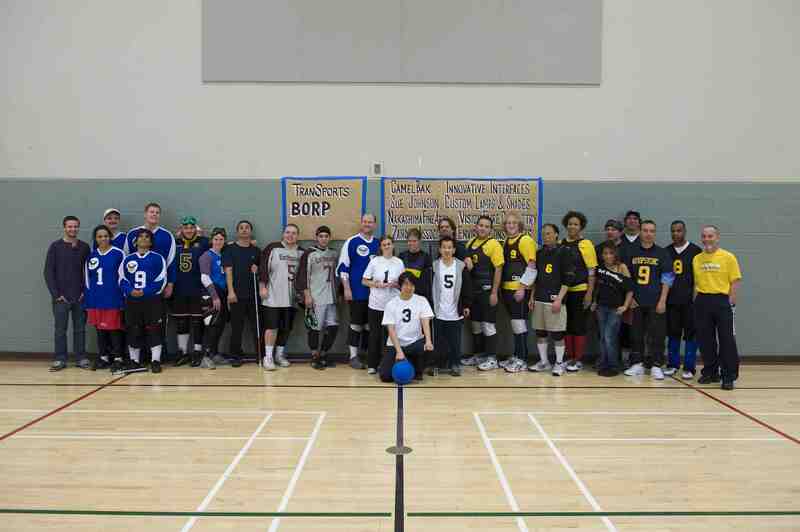 Hope to see all of you at BORP Goalball Invitational XVII. Tune in to 94.1 KPFA at 2:30 for the show “Pushing Limits” to hear Fitness Coordinator Reba Knickerbocker talk about the BORP Fitness Center and the ERC. KPFA interviewer Raphaella Bennin also spoke with BORP participant Julie Fuller, and Maille George about their experiences in BORP’s fitness classes, and BORP Fitness Instructor Saraswathi Devi about her Adaptive Yoga Class. Other interviews also include Dmitri Belser Executive Director of the Center for Accessible Technology and the acting ERC Board President. Here’s a link to follow: http://www.kpfa.org/. Tune in and then stop by the ERC and say hi!